a comment was made to the poll: Who is you're paborito Female heroine in Teen Titans? a comment was made to the poll: Who is you're least paborito Female heroine in Teen Titans? a comment was made to the poll: Whos your paborito character in Teen Titans? 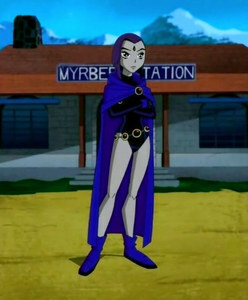 Tara Strong is the voice of Raven. What other Titan Girls has she voiced? Who's your paborito girl character from Teen Titans and why?